A silent predator, soybean cyst nematode (SCN) leads to an estimated $1 billion worth of yield loss in the U.S. each year. With planting season drawing closer, it’s important to keep the threat of Soybean cyst nematodes under consideration. 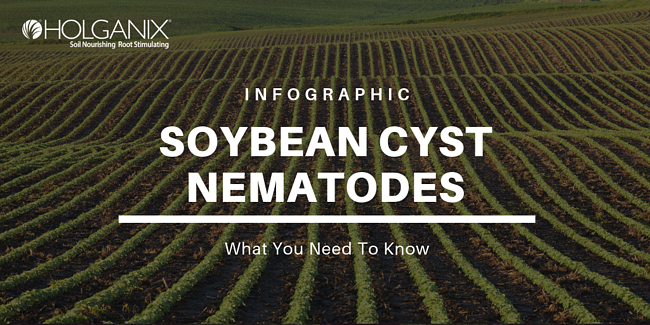 Check out our infographic on the threat of soybean cyst nematodes and how your farm can proactively battle SCN in the field. Or, skip the infographic and scroll to the bottom to read the article in more depth. What Are Soybean Cyst Nematodes? SCN are microscopic roundworms that attack soybean roots and other plants. Juvenile worms burrow into soybean roots to feed and develop. While feeding, the SCN damages roots by stealing water and nutrients. This can lead to stunted growth and reduced yields. In addition, punctures from the SCN can allow disease to enter the roots, furthering yield problems. If the SCN is female, she has the potential to lay 200 or more eggs after her death, potentially leading to an infestation if the problem isn’t curbed. There can be visible signs of SCN, but they are also silent killers. 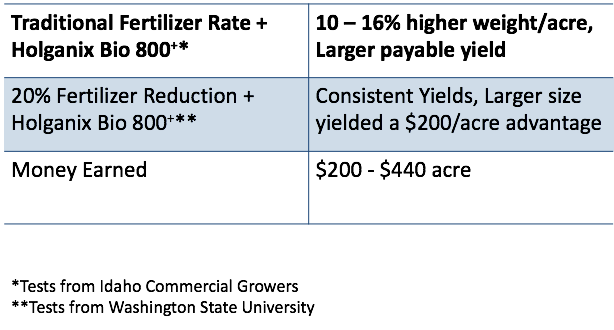 In fact, 15-to-30% yield loss can occur without any visual above ground differences. Which Farms Are Under Threat? According to the SCN Coalition, avoiding tight rotations and using SCN soybean resistant varieties are all proactive ways to fight the threat of SCN. In addition, conducting soil tests before planting and manually digging roots to check for tell-tale cysts, can all help. Further, improving soil health, especially the presence of beneficial soil microbes, leads to the development of suppressive soils. Suppressive soils are those where soil-borne pathogens do little or no damage to the crop largely due to competition and predation by beneficial soil microbes. 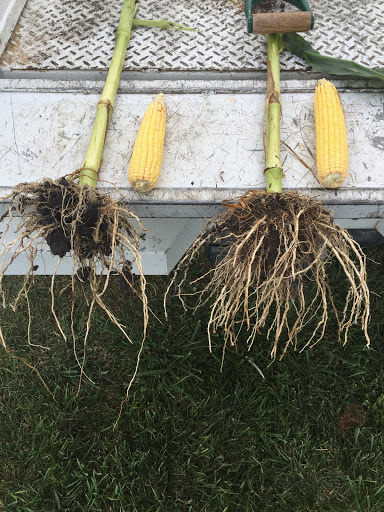 Improving soil health also helps by building a strong root system and by improving the crop's resilience against stressors, ultimately building healthier plants that better resist yield loss due to SCN. Sometimes even the most proactive farmers have to pull out nematicides to battle SCN outbreaks. Holganix is currently developing a bionematicide that harnesses the power of soil microbes to fight juvenile SCN. 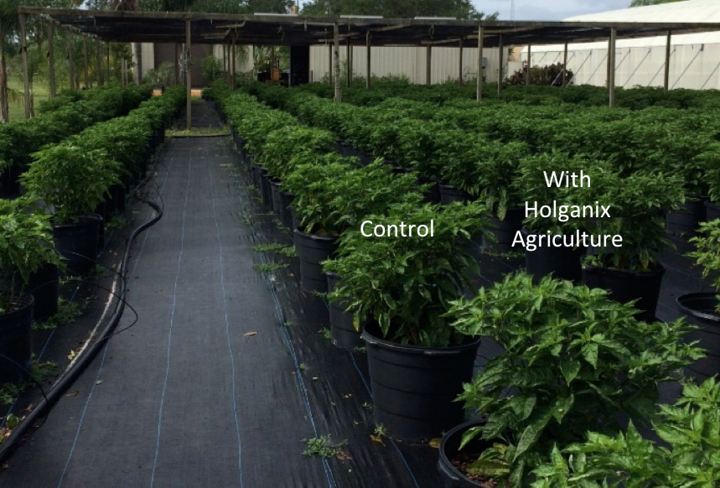 While studies are still ongoing, preliminary results have shown a 75% reduction in pathogenic nematodes with Holganix technology in a lab setting and a 80% reduction in pathogenic nematodes in a field setting. 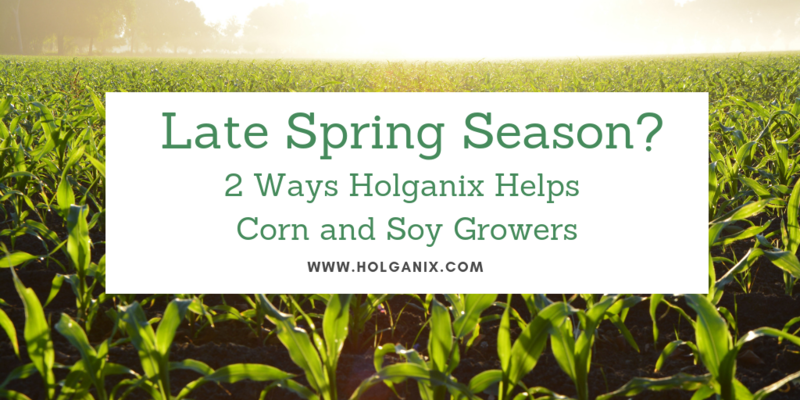 “We are excited about the opportunity with this technology,” explains Holganix President of Agriculture, David Stark Ph.D.
Across the corn and soy belt, weather forecasts point to a late spring. We have had bitterly cold weather in some regions, and in others, we have had rain and flooding; for many, field work to prep for planting has been delayed. Once conditions dry, it will be a mad dash to get crops planted. When we are faced with conditions like these - a shortened growing season with rough weather conditions - using Bio 800+ Agriculture becomes paramount for farmers looking to maximize their crop. In fact, there are two key benefits to using Holganix Bio 800+ Agriculture during these conditions. When the season turns from spring to summer in a short period of time, getting roots established is key so the crop can withstand the dry, hot periods that are sure to follow. The faster you can develop an extensive root system, the faster your crop can catch up to the development it usually sees under ordinary circumstances. Microbes in Holganix Bio 800+ like mycorrhizae fungi, and plant growth promoting bacteria focus on developing a strong, web-like root system as quickly as possible for the crop. Ground that is saturated with water will become anaerobic or very low in oxygen, so the beneficial, aerobic microbes drown and their populations decline rapidly. Tilling or leveling ground damaged by last year’s harvest, winter weather and floods also kills microbes, particularly beneficial fungi. The drop in aerobic, beneficial microbes not only opens the door to microbial pathogens which don’t require oxygen, but further nutrient cycling will decline since this process is dependent on beneficial microbes. This means nutrients in cover crops, plant debris, manure and even synthetic fertilizer will be less available to the new crop. Holganix Bio 800+ Agriculture contains over 800 species of beneficial soil microbes and when applied to soils, replenishes critical aerobic soil microbe populations that are harmed during wet conditions and necessary field repairs. Not only does Holganix Bio 800+ Agriculture improve crop yield and soil health, but it also plays a huge role in helping farmers overcome challenges associated with a shorter planting season and rough weather conditions. At Holganix, we talk a lot about the importance of soil health and all of the long-term benefits improved soil health can mean for your farm. 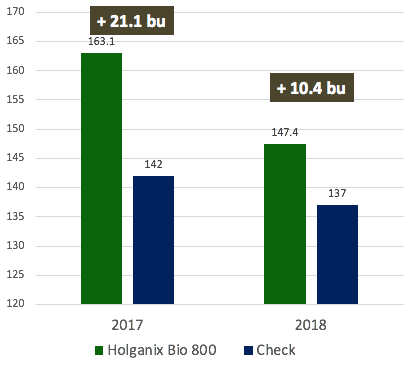 While Holganix Bio 800+ Agriculture should be the foundation for that sort of program, using the product provides more than just long-term benefits; the microbes in Bio 800+ can help farmers today, in the short term, especially during tough weather conditions. 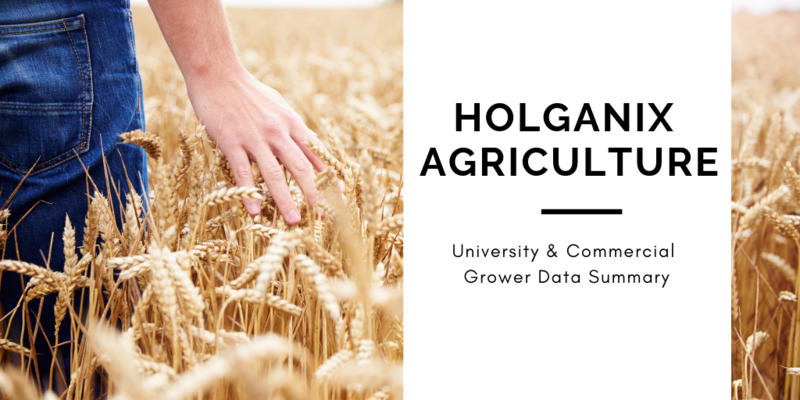 Over the past four years, we have been compiling data on several different crops in different geographic zones to deepen our understanding of how Holganix Bio 800+ Agriculture can help farmers maximize crops. Click the button below to access a sample from our 2017 and 2018 collection. 100 years later and that quote still remains prevalent to the way we think of agriculture. As new scientific studies are published supporting the benefits of soil health, topics like regenerative agriculture have gained popularity. Once thought of a system for niché farmers, regenerative agriculture is gaining major headway within the agriculture community as a way to improve soil health, while being good stewards to the earth. So, what is regenerative agriculture? Regenerative agriculture describes farming and grazing practices that focus on regenerating topsoil, allowing farmers to maintain crop yields, improve water retention and plant uptake, increase farm profitability, and support biosequestration, among other benefits. The backbone of regenerative agriculture is a focus on strengthening the health and vitality of farm soil. The key is that regenerative agriculture “does no harm” to the land, and in fact improves it, using technologies to build soil health like compost, recycling waste, limited-to-no-tillage, among other practices. According to a paper by the Washington State University, “there are multiple versions of [regenerative agriculture], each with a different flavor.” For example, The Rodale Institute promotes a strictly organic version and even has certifying programs to guide farmers and buyers. While, farmer and TEDx speaker, Gabe Brown champions a form of regenerative agriculture that doesn’t restrict the need to go fully organic. 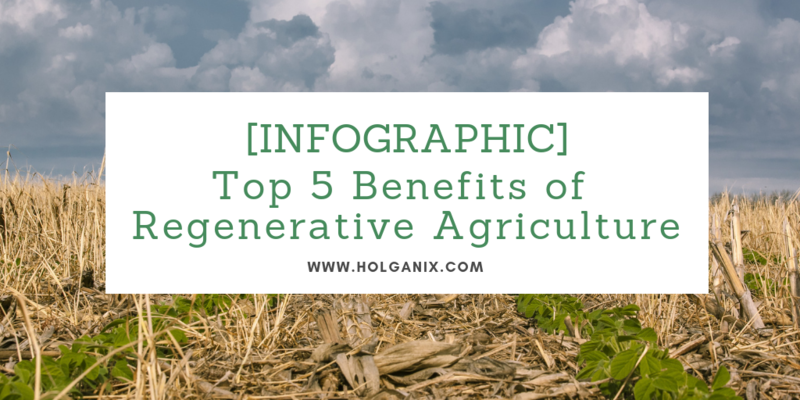 Check out our infographic below for the top 5 benefits of regenerative agriculture, or skip the infographic and keep on scrolling to read it in article form - the old fashioned way. No matter the variation in regenerative agricultural practices, all focus on increasing soil health. According to the Regeneration International, a non-profit organization with the goal for a global transition to regenerate agriculture and land management, “Regenerative agriculture describes farming and organic practices that, among other benefits, reverse climate change by rebuilding soil organic matter and restoring degraded soil biodiversity…” By focusing on building soil health, you can optimize their yield results and crop health naturally. #2 Maintaining Crop Yields Is A No Brainer? No conversation around switching regenerative agricultural practices would be complete without addressing yield. According to the Nature Conservancy Organization, regenerative agricultural practices “reduce the risk of yield loss due to stressors, and can bring about a material increase in crop yields and quality.” Other reports from the Rodale Institute shows that yields can be maintained and at times increased (See benefit #3). We should be open to exploring whether or not we can maintain crop yields with regenerative agricultural practices and there is no better way to get proof than by trying it on a portion of your own farm. 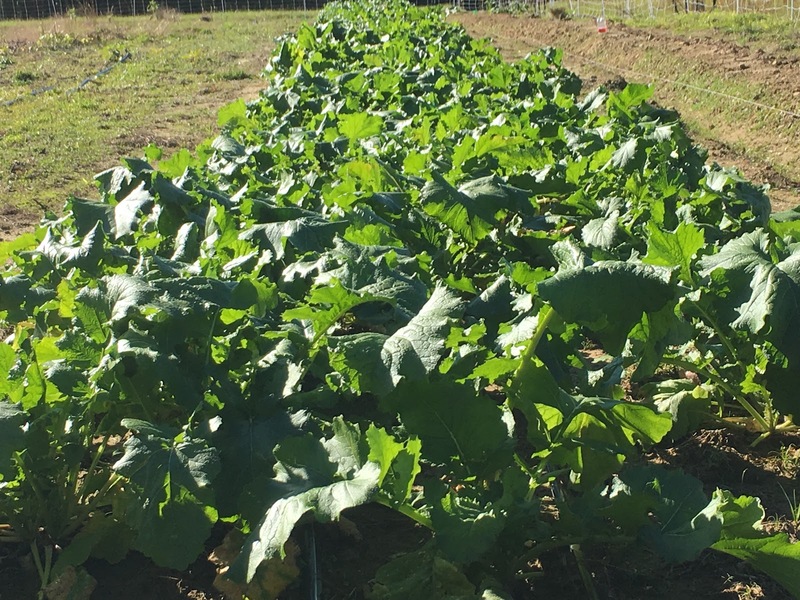 According to the Rodale Institute, yields “under organic systems are likely to be more resilient to extreme weather… in the long-running Farming System Trial, in drought years, yields were consistently higher in the organic system. For instance, organic corn yields were 28-to-34% higher than conventional.” In general, having resilient crops comes back to the soil and increasing soil biodiversity. By ensuring your soils are healthy and teeming with beneficial soil microbes, you can naturally displace and suppress disease. There’s a lot of discussion on the importance of focusing on improved farm profitability when converting a farm to regenerative agriculture, and the research on it is variable, yet promising. #5 Regenerative Agriculture As A Solution To Climate Change. In a white paper titled “Regenerative Organic Agriculture and Climate Change”, the Rodale Institute states that “we could sequester more than 100% of current annual CO2 emissions with a switch to widely available and inexpensive organic management practices, which we term 'regenerative organic agriculture. '” That’s a tall order! But, it is one the Rodale Institute has been working with researchers to prove for the past three decades. 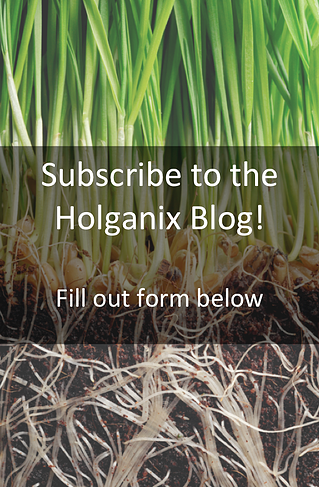 How Do Regenerative Agriculture and Holganix Bio 800+ Agriculture Fit Together? Regenerative agricultural practices like composting, cover crops and no-to-low-till, leave food sources for soil microbes in the soil. 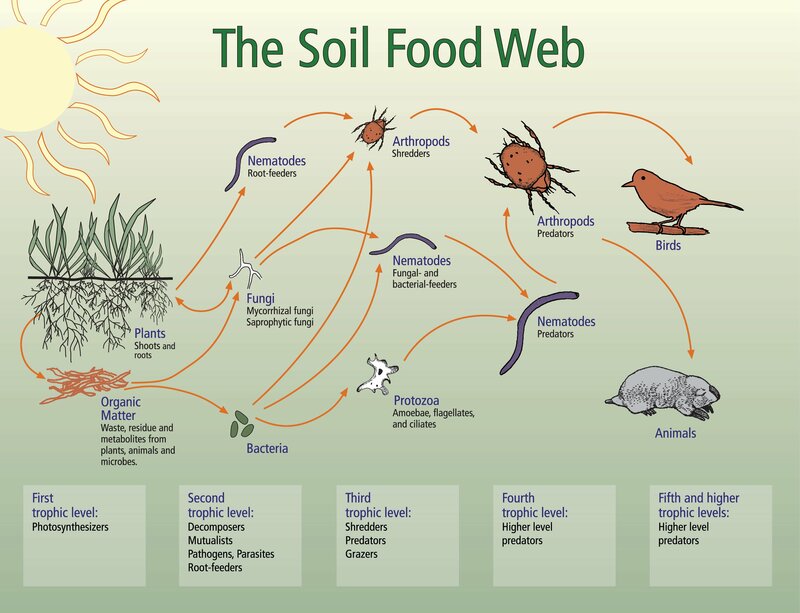 By providing food sources for microbes, regenerative agriculture strengthens the soil microbes. Holganix Bio 800+ Agriculture harnesses the power of over 800 species of soil microbes to recharge soils, that ultimately leads to improved yield, root growth, and crop resilience against stress. 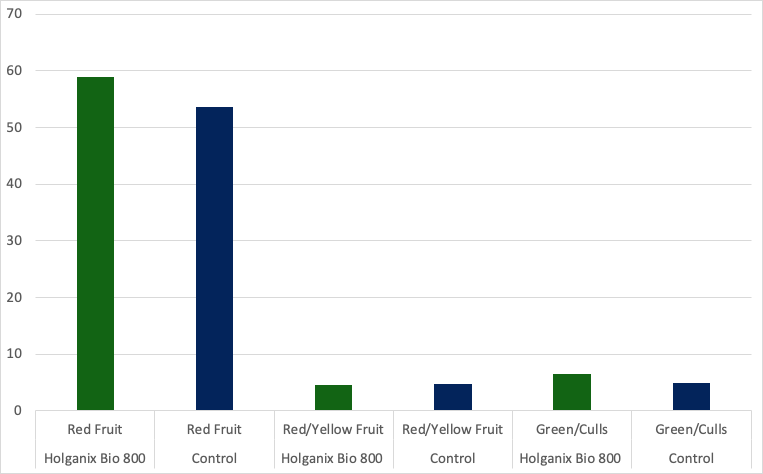 When you combine regenerative agriculture practices that provide microbe food sources, and the diverse consortium of microbes in Holganix Bio 800+, results from both can increase. Learn more about Holganix Bio 800+ Agriculture by watching our short 8.5-minute video on our university and commercial grower trials. 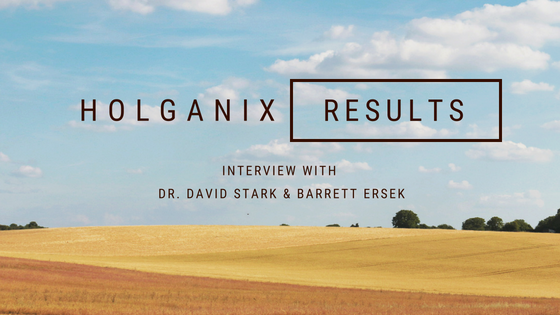 In today’s blog, we sit down with Holganix Agriculture President, Dr. David Stark and Holganix CEO, Barrett Ersek for a 3.5-minute interview on the results farmers are seeing with Holganix Bio 800+ Agriculture. Watch the video below to hear the conversation or skip the video and read the highlights. If you are reading this blog via email, click here for the video. Holganix – Dr. Stark, you have been working with our farmers for over two years, what are they seeing in the field? David Stark, PhD. – Farmers are telling me that Holganix Bio 800+ Agriculture is easy to use and goes down well. 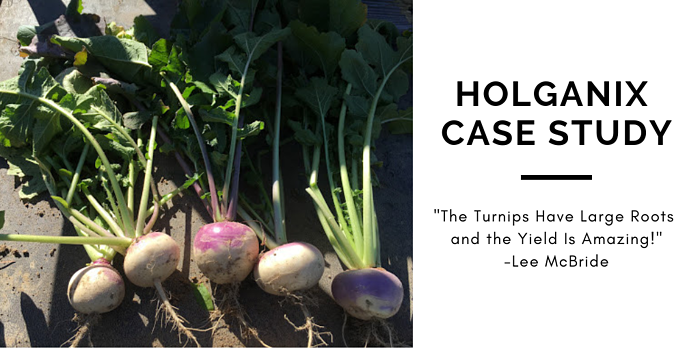 They are also reporting increased yield and increased rooting - everything you would expect from a Holganix farmer. 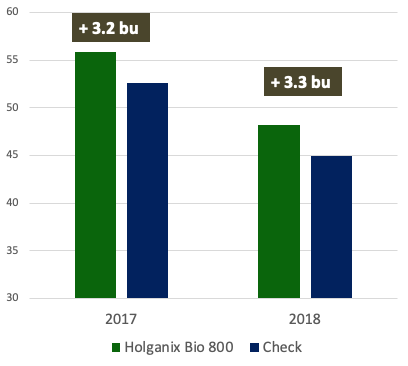 Recently, I heard from a midwest farmer growing corn that applied Holganix Bio 800+ Agriculture on his worst ground; according to that farmer, it became his best performing ground. 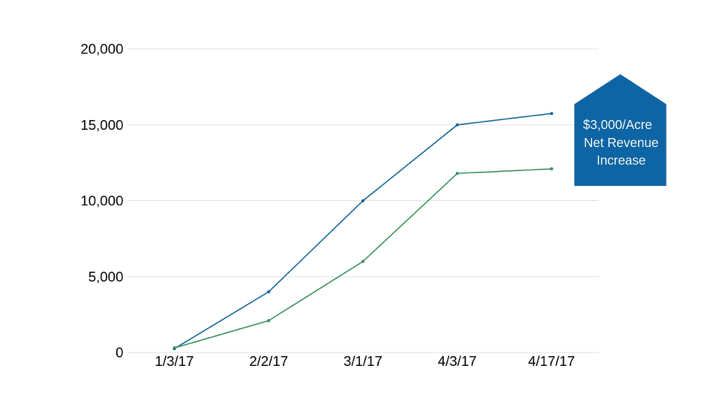 I even heard from a strawberry grower in Georgia that called our sales representative and thanked the rep for selling him Holganix. 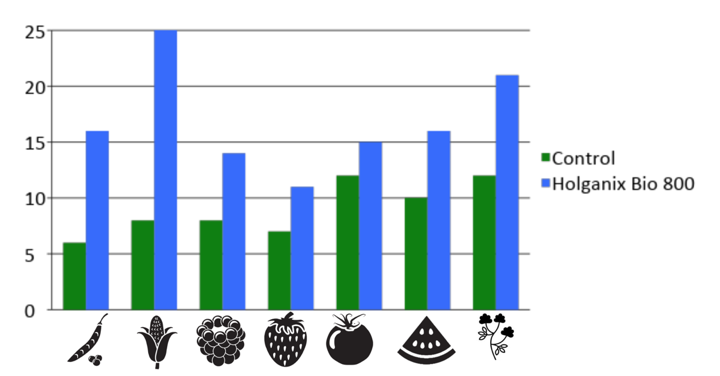 According to the strawberry grower, Holganix saved his season and he saw better yields and an earlier harvest compared to the poor harvest his neighbors’ had. 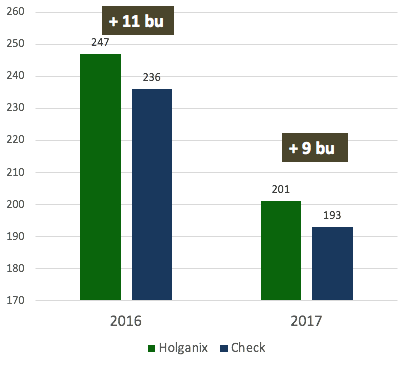 Holganix – Barrett, where do you see the microbial space in the next five years? As an industry, I’ve seen a lot of investment pour into the microbial space. I believe that over the next five years, the industry will see microbes do everything from soil health, crop yield to disease and pest control. At Holganix we intend to lead that revolution. Want to dig into the science? Looking to learn more about Holganix Bio 800+ Agriculture, click the link below to access a more in depth video and article on the science and research behind the product. 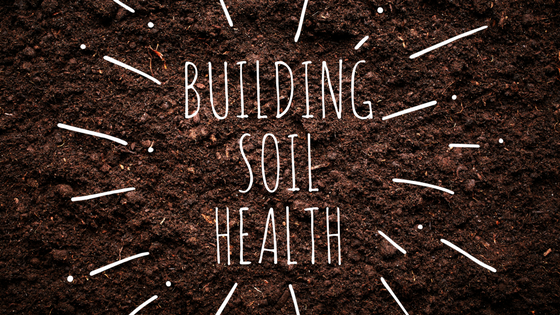 How Do You Build Soil Health? It is no secret to readers of this blog that the benefits of building soil health are far reaching. 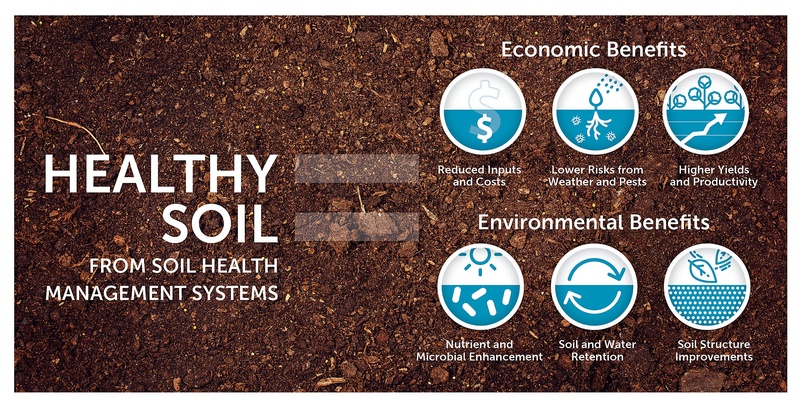 From gaining the ability to reduce fertilizer and pesticide inputs, reducing erosion and minimizing weather and disease risk, soil health benefits touch both the economic and environmental needs of growers. According to a recent report Seeding Soil’s Potential by Wrangler in collaboration with the Soil Health Institute, three core practices - cover crops, crop rotation and conservation tillage - have the ability to add three times more organic matter to the soil, ultimately providing healthier soil that can provide economic and environmental benefits. Let’s explore each of these practices in depth. According to data released by the USDA’s Agricultural Resource Management Survey, “only 1% of all cropland acreage uses cover crops [in the U.S.].” Yet, cover crops produce biomass and reduce erosion and nutrient loss. Examples of cover crops include cereal grains, legumes and brassicas - each type of cover crops provides a unique benefit for the grower. Crop rotation is an approach for managing pests and diseases. Furthermore, planting diverse crops above the ground leads to a diverse microbial community below the ground. This ultimately provides a more resilient soil for crops to grow. According to the USDA, “82 to 94% of most crops are grown in some sort of rotation in the U.S.”. According to an article published by the Washington Post, “plowing and tillage are major sources of soil erosion around the world - they were key factors behind the Dust Bowl in the 1930s.” Furthermore, tilling leads to nutrient loss and releases CO2 into the atmosphere. Conservation tillage includes two methods - no-till and strip till - the later method is a practice where the farmer only tills a narrow stirp of land for planting purposes. In a 2009 report by USDA, about 35.5% of the country’s cropland had at least some no-tillage operations and 10% practiced full-time no tillage operations. Holganix Bio 800+ Agriculture is a plant probiotic that builds soil health by replenishing the soil with microbes. 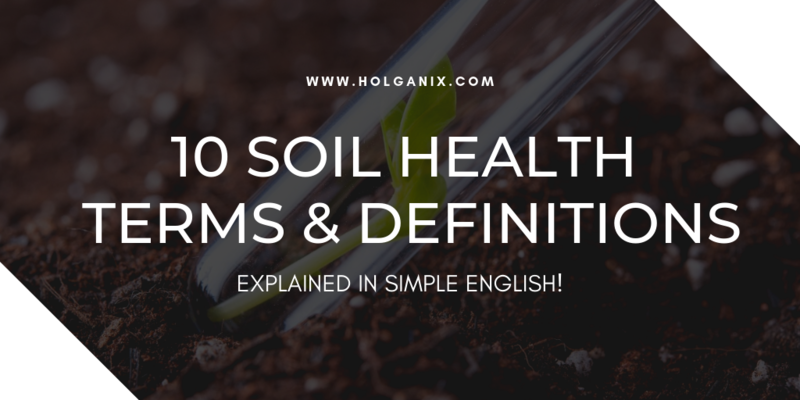 In fact, a jug of Holganix Bio 800+ Agriculture contains over 800 species of soil microbes, among other ingredients, to foster soil health, develop root architecture, increase plant resilience and improve crop yield. Not only are healthy soils important to nurture healthier, more resilient plants but also healthy soils allow farmers to reach crucial environmental goals. Here are just two reasons why soils matter to farmers. Soil is a living, breathing entity that is teeming with life. 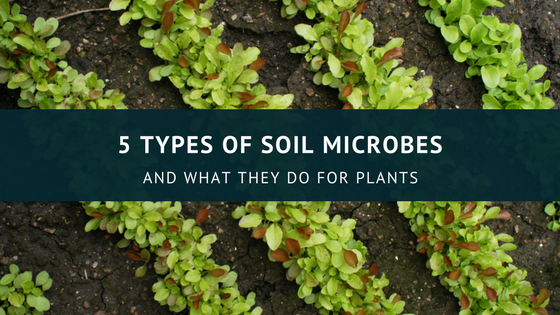 In fact, in a single tablespoon of soil there are more microbes present than there are people on Earth. When soil is rich and healthy, it fosters healthier, more resilient plants with deeper, more web-like root systems. That means plants are more sustainable - in other words they can sustain themselves regardless of the environmental conditions including; drought, cold, too much rain. Rich soil also acts as a reservoir to store nutrients and water so the plant can access them when needed. Check out our infographic below to learn more about how soil nurtures plant health. 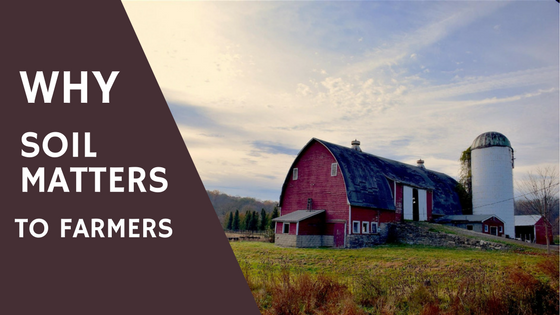 Not only does having healthy soils help farmers improve crop health, but it can also help farmers reach environmental goals by reducing erosion risk and by reducing nutrient runoff into our waterways. 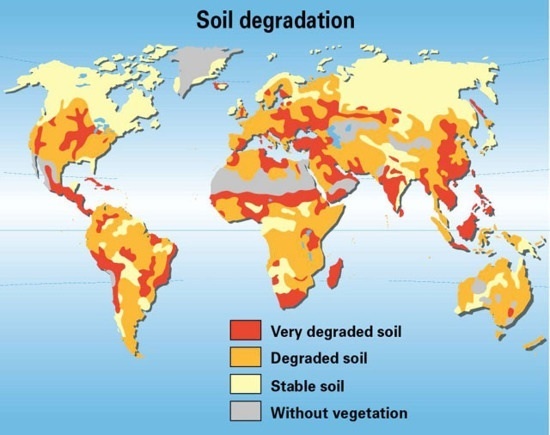 Soil erosion caused by wind, water and tillage removes organic matter and nutrients from the soils, making soil less productive for growing plants. When nutrients runoff into our waterways, marine dead zones can form causing detrimental problems for marine life. Healthy soils act as reservoirs, holding key nutrients in the soil for the plant to access and minimizing runoff. Holganix Bio 800+ is a plant probiotic that builds soil health by replenishing the soil with microbes. In fact, a jug of Holganix Bio 800+ contains over 800 species of beneficial soil microbes, microbe food and nutrient enhancers to foster soil health, develop plant root growth, increase plant resilience and improve crop yield.